Get top quality timber trusses in Hayton from the North West’s leading roofing merchant. At North West Roofing Supplies, we stock and supply a comprehensive range of roofing materials to suit your needs, preferences and budget. Whether you’re a DIY enthusiast or a professional building contractor, we have all you need at our warehouses. You can browse through our product range online or you can visit our offices directly. Our highly-trained, experienced and friendly team of professionals can help you with the right advice and assistance. We are proud of our reputation for excellence in quality, affordable pricing and our customer-oriented focus, no matter how large or small your project. Most of our business comes to us via recommendations from delighted clients who have been 100% satisfied in their dealings with us. 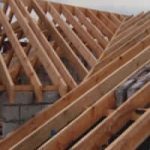 For both the DIY enthusiast and roofer in Hayton, timber trusses are one of the oldest forms of structural support for roofs in buildings. Over the centuries, these structures have proved to be sturdy and tough. They lend charm and character to the interiors of the room and can blend with any style, whether traditional or contemporary. 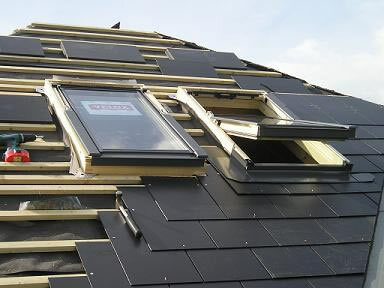 However, the availability and use of premium quality wood is a deciding factor in opting for this kind of roof. It consists essentially of triangular units made from straight lengths and connected by shorter sections. This provides a stable structure for the roof and you can cover this truss with materials of your choice like tiles or shingles. This construction is mostly found in residential buildings, and churches though they’re also to be found in older commercial buildings too. Wooden trusses are much cheaper and more environmentally friendly than steel, provided you source the timber from sustainable forestry. We offer timber trusses in Hayton. Timber trusses have to be protected against pest attacks, rot, fungus and moisture. 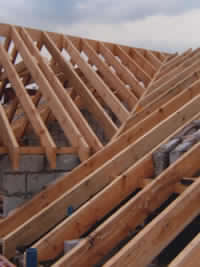 For more information about our available timber trusses, contact North West Roofing Supplies. Clients are also welcome to visit us at our new Carlisle branch at Unit 10a Brunel Way, Durranhill Industrial Estate, Duranhill, Carlisle.